SAP Process Orchestration is a single, integrated solution for building and running end-to-end business processes across both SAP and non-SAP environments. In SAP Business Process Management, Process Instances that have been completed and not required by businesses for any audit purposes should be deleted from time to time. The frequency of this archiving procedure varies from business to business based on a few factors. The number of users assigned to a task role. What can you expect when process instances are archived? The process instances marked for archiving will be removed from the BPM database and archived to a location as configured by the administrator. Corresponding entries will be created in the DAS tables for the archived instances. As expected, Process Archiving improves the overall performance of the system. It keeps the database compact with fewer process instances. SAP Process Orchestration uses the SAP NetWeaver XML DAS framework for archiving. Additional information can be found here. SAP recommends that you follow these guidelines to facilitate the maintenance of the archives over a period of time. 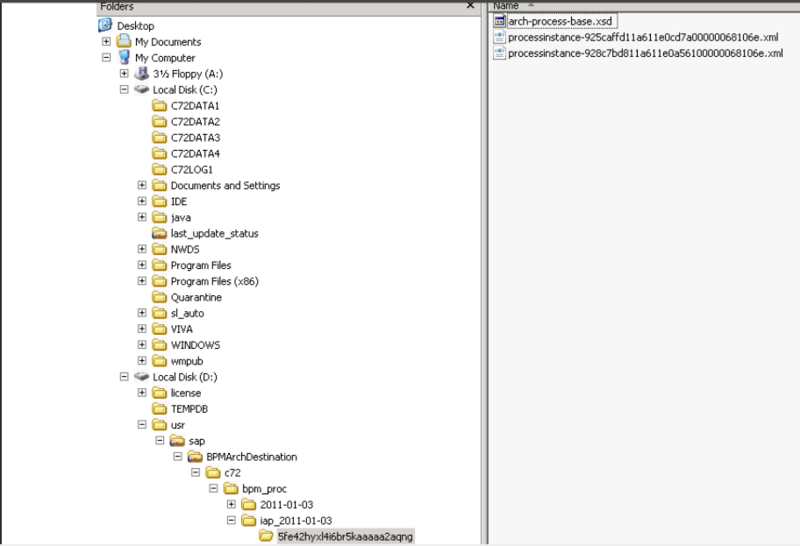 Choose the bpm_proc Archiving set from the Show Archiving Set dropdown. Click the Create Collection button on the toolbar and provide an appropriate name. You may also want to create a new collection at the beginning of every calendar/fiscal year as appropriate. If the number of process instances grow exponentially in your organization, it is recommended to create a new collection every quarter. By following the above guidelines, it is extremely simple to perform housekeeping activities on the archives. The deletion of the archived instances can be accomplished easily via the Java Archiving Cockpit. This keeps the archives from growing to a few gigabytes. Businesses might prefer to store a couple of years’ worth of archived content for audit purposes. You may also want to adhere the audit guidelines of your business accordingly. Other archived content can be deleted in this manner, provided you organized the collections in an orderly manner before starting the archiving process. useful overview of the PO archiving process. Thank you for this. Some links are outdated, but nevertheless the structure is helpful. My question is – how do you configure that naming convention and where?